Thread: Simmba Is Rohit Shetty’s BEST Film So Far; Our EXCITEMENT Is At Its Peak! “It’s truly been wonderful knowing him as a person and as an actor who is honest hardworking and so passionate about his craft. 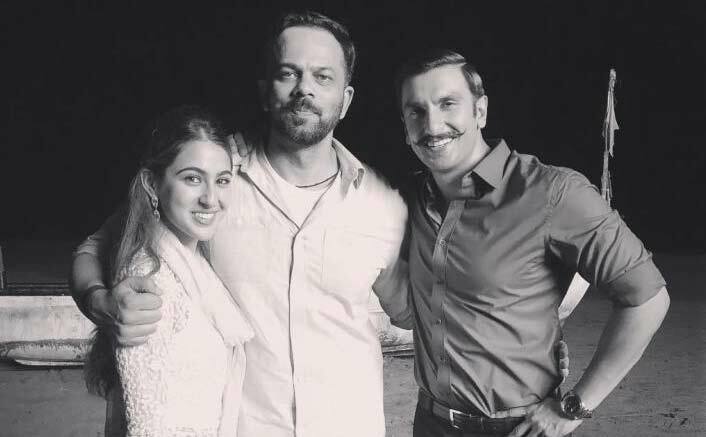 I can vouch today that no-one else could have been a better Simmba than Ranveer Singh making Simmba (as my team says) My best film so far, ” he added.Also, ahead of Ranveer and Deepika Padukone’s wedding, Rohit wished the couple saying he is “proud to show off today that his Simmba (Ranveer) is marrying his Meenama (Deepika)”.Deepika worked with Rohit in the Shah Rukh Khan starrer “Chennai Express” in which she played the character of South Indian girl Meenama.“I am proud to showoff today that my Simmba is marrying my Meenamma! I Wish them all the luck for a blissfully beautiful future together.”“Simmba” is slated to release on December 28. Simmba VS Zero: Here’s What Rohit Shetty Has To Say About The Box Office Clash!